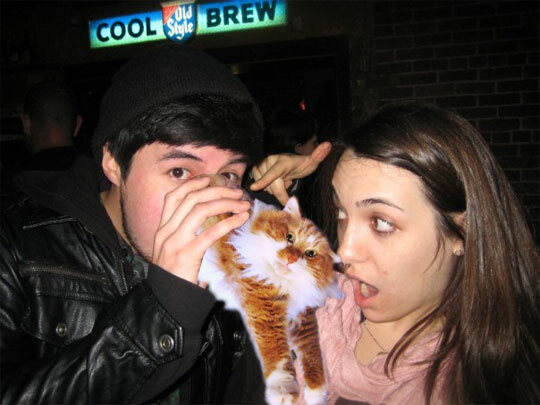 Here is a picture of my buddy Alfie doing dirty things to a Boozecat at a bar. Even his friend is shocked at the events taking place right in front of her eyes. This little Boozecat actually reminds me a bit of that Thundercat character Snarf. Maybe that's why Alfie is so interested in him.